There are dozens of questions concerning the bill awarding to illegal immigrants special licenses marked “FOR DRIVING PURPOSES ONLY,” some of which were discussed, others not, as the bill wended its way through the General Assembly . Just to begin with, the notation on the license is at least in one respect like the Jewish star pinned on clothing during the Nazi period, the purpose of which was to alert authorities that the wearer was a doubtful-citizen slated for special treatment – or, as it turned out, mistreatment. The Hartford Courant has noticed -- five weeks after the General Assembly, responding to the mass murder at Sandy Hook Elementary School, passed into law the most comprehensive gun restriction bill in the nation -- that criminal investigators have been somewhat laggard in issuing their final investigation report. Connecticut Commentary made note of the importance of the criminal report to the pending gun legislation way back in mid-January, 16 weeks before editorial writers at the Courant were rousted from their Rip Van Winkle slumber. On budget matters, the governor proposes and the legislature disposes. Connecticut’s General Assembly has in the past been disposed to tinker with budgets presented by the state’s chief executive. No one knows precisely what the Democratic dominated General Assembly will do to a budget that has been etch a sketched by Governor Dannel Malloy and Democratic leaders in the General Assembly. Once again this fiscal year, Mr. Malloy and Democratic legislative leaders have stiffed Republicans on budget matters. During Mr. Malloy’s first budget negotiations, Republican leaders were shooed out of the room so they might not interfere with delicate negotiations then underway between Mr. Malloy’s agents and union leaders representing SEBAC, the state union conglomerate authorized to negotiate contracts with the governor. On that occasion, Democratic leaders in the General Assembly pre-approved a budget submitted to them by Mr. Malloy and invested him with plenipotentiary powers to make whatever adjustments SEBAC, Connecticut’s fourth branch of government, and the governor thought advisable. 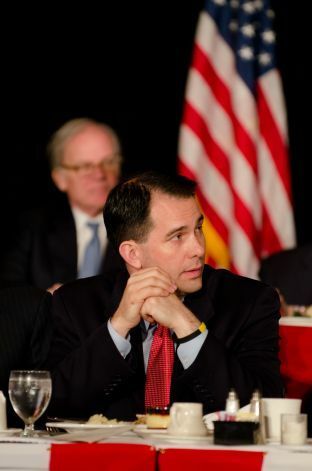 Republicans this year asked Governor Scott Walker of Wisconsin, much maligned by union folk, to give the keynote address at the Prescott Bush Awards dinner in Stamford. Mr. Walker is a grown-up, so his address was low key, interspersed with amusing vignettes. There was very little coverage of Mr. Walker’s remarks in Connecticut’s media. Most of the media accounts went for the color and passed over the discomforting substance. A few weeks ago, my wife Andree and I – and of course her guide dog Titan – visited my nephew who has just relocated from Connecticut to North Carolina. We had decided to make our 20 year pilgrimage to Washington D.C. and spent a full day there before pressing on to see David and his wife Corin. The very first time I had visited the nation’s capital was on November 24, 1963, two days after President John Kennedy had been assassinated. Four of us in Danbury, where I was attending college, had decided to hitch to Washington to attend the funeral and show our respect to a president we all loved. 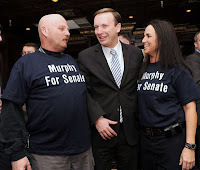 Bridgeport, CT – Today, a widely-anticipated lawsuit was filed in U.S. District Court in Connecticut, challenging the constitutionality of the new firearms law that was passed hastily by the Connecticut legislature in response to the tragic shooting in Newtown by a disturbed individual. The lawsuit seeks immediate injunctive relief and a ruling declaring the new law unconstitutional under the Second Amendment of the U.S. Constitution. It alleges that Connecticut’s new firearms law is not only unconstitutional but dangerous, since it makes both citizens and law enforcement less safe by depriving citizens of firearms that are in common use throughout the country. The very firearms and design features banned by the new law are commonly used in part because of safety, accuracy and ease-of-use features that make them effective in the hands of citizens who must defend themselves and their families against criminals and the mentally ill who do not obey such laws. We all know that young people, most especially urban young people, sometimes stray from profitable paths because they lack proper guidance. There are three reasons why messages to young people are not received: The message may be deficient, the messenger may be unpersuasive or the message itself may fall on parched ground. In mid-May the principal of Harding High School in Bridgeport, the unflappable Victor Black, responded to a request from motivational speaker Wayne Winsley to address his students. His Achievement and Motivation presentation, tucked into a program called “Brave Enough to Fail”, is one of hope and courage: Strive to discover and nurture in yourself the seeds of promise that lie at the root of your character – and do not be afraid to fail, for the ladder of success is marked by rungs of opportunities disguised as failures. George Orwell, like Jonathan Swift before him, is one of those large writers who simply straddle ideological categories. He was fortunate enough – or unfortunate enough, depending on one’s point of view – to have been born in what the ancient Chinese call “interesting times,” the bloody and totalitarian 20th century. The revolutionist speaking truth to power often appears among us with a rope braided by the reigning powers draped about his neck. He steps towards gallows with a wan smile on his face. Patrick Castagna, an FBI informant, was wearing an FBI wire, but the chatty if cynical Ray Soucy, a former union leader and political wheeler dealer, was unaware of this, and so he went on and on and on, sounding for all the world like turn of the century Tammany Hall boss George Washington Plunkitt holding court at his bootblack stand. 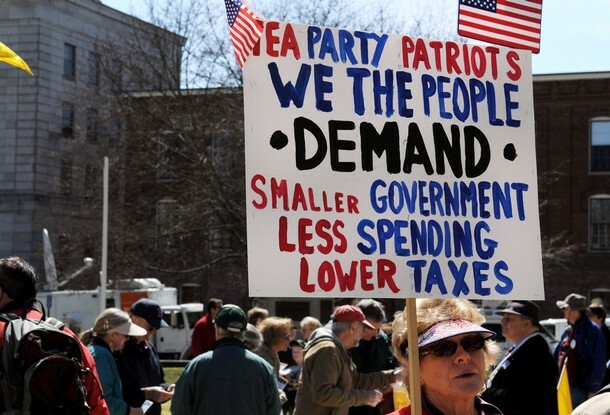 While President Barack Obama was doubling down on his discredited narrative concerning the attack by terrorists on the Benghazi consulate, in the course of which Mr. Obama’s personal minister – that is what an ambassador is; the personal minister of the president – was murdered, it was revealed that the Internal Revenue Service (IRS) had targeted Tea Party groups for what may turn out to be punitive audits. Partial birth abortion, a medical procedure in which a doctor partially withdraws a late term fetus from a woman and kills it, is the left’s AK15, a semi-automatic rifle banned in Connecticut following a murderous assault on a school in Sandy Hook Connecticut . U.S. 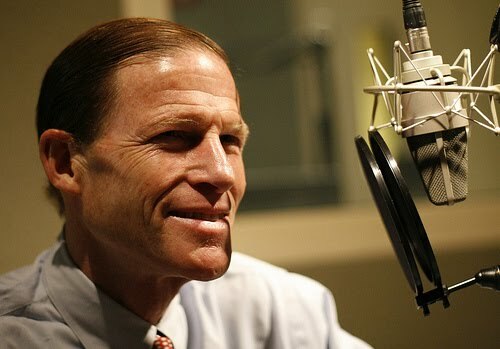 Senators Richard Blumenthal and Chris Murphy have taken a leading role in an attempt to push through a reluctant Senate a bill that would require background checks for weapons purchases. The good news is that the Internal Revenue Service (IRS) has not yet misused its powers punitively to settle scores with the freedom from religion crowd, pro-abortionists or progressive Democrats. The U.S. Congress has promised an investigation. President Barack Obama spokesman Jay Carney has indicated that the president will not stand in the way of a thorough investigation. The president is deeply disappointed in the head of the IRA, an appointment made by Mr. Obama’s predecessor, former President George Bush. A dung beetle would strain himself pushing around a misdirection so massive. Even Jonathan Karl of ABC News has taken notice, and he has nothing kind to say about Obama administration “talking points” on Benghazi. Mr. Karl, it should be said, is not part of the putative conservative conspiracy against progressive Democrats. Self-will must bear the guilt of stubbornness. So long as the truth is scorned, Ambassador Chris Stevens and the brave people who died with him at the consulate in Benghazi will not be quiet in their graves. Honor must have a voice. The shattering truth about Benghazi will be told; blood will tell it. Whether the telling will change much is quite a different question. Power does have its privileges, and the Obama administration, in an attempt to subvert the truth, has buried it behind a literal wall of obfuscation. It happens to the best of presidents. Sometime during the second term of popular presidents, the American people begin to bid goodbye to their chief executive, at which point the president begins to think of his legacy and hires a ghost writer to memorialize his time in office for future generations. Ground is broken, if only in the president’s mind, for a future library. President Barack Obama is a popular, twice elected president. Some of his programs, however, never have been universally admired even within his own camp, which now begins to show stress fractures. Mr. Obama’s political methodology is, unsurprisingly, that of a left wing Chicago street organizer. During his presidency, Mr. Obama has spent an inordinate amount of time on the bully pulpit attempting to sell round pegs to square-hole purchasers in Congress. And he’s spent a great deal of money he does not have. A newspaper reports that Republican leaders John McKinney and Larry Cafero, both of whom have professed interest in running for governor, are once again being shut out of budget negotiations by Governor Dannel Malloy. During Mr. Malloy’s first budget -- By the way, has Mr. Malloy’s budget EVER been in balance? – the governor unceremoniously showed the door to Republicans. Mr. Malloy brought Republicans back to the table on two occasions: during a special session, when Mr. Malloy needed some help balancing his chronically out of balance budget, and during negotiations on a gun restriction bill following the mass murders in Sandy Hook. The trouble with Connecticut Republicans has always been the same: There is no Maggie Thatcher among them. The pre-Thatcherite Tory Party in Britain resembles to a “T” the “go along to get along” Republican Party in Connecticut.